Anyone who has been in recovery will verify that lapses or relapses are extremely common. Statistics gathered about individuals attempting sobriety show that over 90% of such individuals have at least one episode of relapse, before achieving lasting recovery. A lapse can be described as a single, short misstep – for example, one glass of champagne to celebrate. A relapse is when the individual in recovery continues returning to substance abuse or dependence, thus causing conspicuous damage to their career, relationships, health or finances. When an individual in recovery lapses, marking a brief return to old, damaging behaviors, despite self imposed rules, they are usually able to forgive themselves, allowing them to remain in recovery, with minimal guilt and shame. A relapse is more serious business, because it usually occurs at a time when the individuals in recovery believe they have defeated their addiction. Usually caused by stressful experiences, relapses can cause the individual in recovery to be burdened by guilt and shame. This may happen despite advances in their recovery, and notwithstanding relapse prevention skills taught in treatment. A constructive way to look at relapses are to regard them as red flags, as time to seek further advice and support, rather than be weighed by feelings of hopelessness and failure. A relapse may be used as a learning experience. Does a relapse actually begin when the actual substance is consumed? 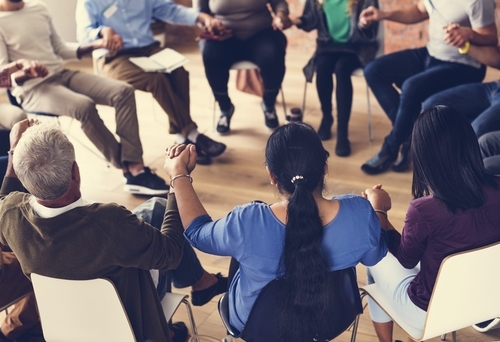 Often it begins when a individual in recovery stops attending support meetings regularly. Or when they revisit known triggers and discard their quest for the easy way out. Some prevailing signs of relapse are a growing sense of complacency, an abandonment of rigorous self care, and a return to denial. While it’s up to the relapsed individual to want to return to recovery, the good news is that recovery is not done alone. The relapsed individual must revive their attitude of willingness and surrender to recovery. Very often, the individuals blame themselves, and feel solely responsible for slipping. It’s important to remember that an addiction is a heavy weight, and no one person can lift it alone. Reach out, be willing to accept help and support and be open to surrendering to the benefits of treatment. The individual in recovery must be reminded that this is not back to square one! There are multiple benefits to going back to treatment at any facility, but even greater benefits of returning to the same treatment center as before, such as a seamless transition of picking up where treatment was left off and re-entering a familiar environment. Furthermore, an individual who returns to treatment is someone who already understands the treatment, and is more open to receiving its powerful benefits. A returning recoverer is in a unique position to help other individuals in recovery, and is able to do so without judgment. Being a compassionate peer and helping someone else’s recovery is a gratifying endeavor and enhances that individual’s own recovery, and boosts their own intention to achieve and maintain lasting sobriety.